For over 50 years, the President of the United States has issued a prclamation announcing the National Small Business Week. This week recognizes the contribution that America’s entrepreneurs and small business owners bring to make the United States Great. From April 30th to May 6th, the National Small Business Administration (aka. 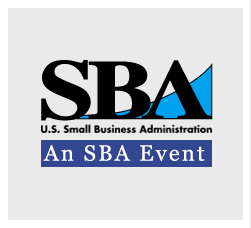 SBA) is hosting a Small Business Week Event. They are road-tripping events in Washington DC, Indianapolis IN, Dallas TX, and Fresno CA. There is even one hosted on Facebook Live for all others (11:30am – Noon ET, May 2nd @ facebook.com/SBAgov). All events are live streamed to their Facebook page. The SBA is hoping to inspire and help small businesses in a various of areas from how to start and grow a business to how to thrive as a entrepreneur. Since 1963, these events have been going on and you have a chance to take part of this. Many other companies are also getting involved, from Google to Salesforce. If you want to get involved and attend free seminars, Google is hosting some hopefully near your town. Cant make it to the event? Watch some Webinars online. Now is a great time to get involved and learn more about how to grow your small business.